Sungai Besi, 55200 Kuala Lumpur, Malaysia. 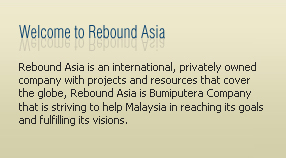 Rebound Asia values every client we have. Our customer service department is designed to facilitate the resolution of any on-going request you may be willing to enquire regarding our servcies & products. If you are having difficulty with any issue or technical support and accounting is not getting back to you, we urge you to contact our customer service department immediately. We will respond within 24 hours.